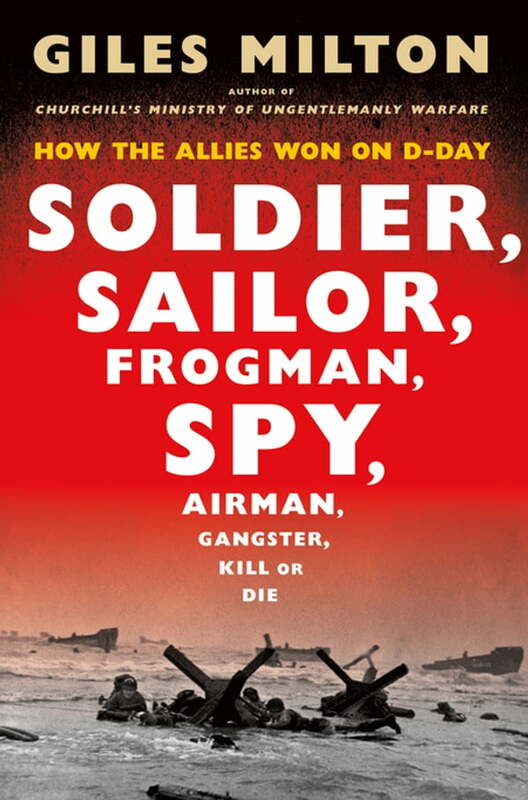 An epic battle that involved 156,000 men, 7,000 ships and 20,000 armoured vehicles, D-Day was, above all, a tale of individual heroics – of men who were driven to keep fighting until the German defences were smashed and the precarious beachheads secured. This authentic human story – Allied, German, French – has never fully been told. Giles Milton’s bold new history narrates the events of June 6th, 1944 through the tales of survivors from all sides: the teenage Allied conscript, the crack German defender, the French resistance fighter. From the military architects at Supreme Headquarters to the young schoolboy in the Wehrmacht’s bunkers, Soldier, Sailor, Frogman, Spy, Airman, Gangster, Kill or Die lays bare the absolute terror of those trapped in the front line of Operation Overlord. It also gives voice to those who have hitherto remained unheard – the French butcher’s daughter, the Panzer Commander’s wife, the chauffeur to the General Staff. This vast canvas of human bravado reveals “the longest day” as never before – less as a masterpiece of strategic planning than a day on which thousands of scared young men found themselves staring death in the face. It is drawn in its entirety from the raw, unvarnished experiences of those who were there.